Has anyone noticed the newest features in the latest Microsoft Passport upgrade? 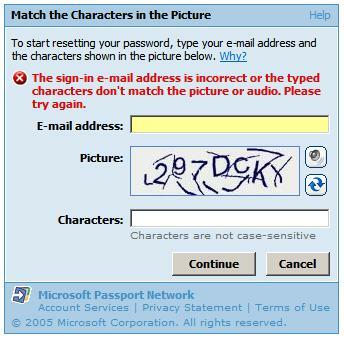 My MSN account had somehow gotten locked so I was taken to this page to reset my password. Guess what there is now an audio option to read out the text so you can listen and type in the value instead of using the scrambled image. The second cool thing that I think will be used by a lot of developers is the password strength bar. As you type in your new password a progress bar below it shows how strong (unbreakable) the password is. 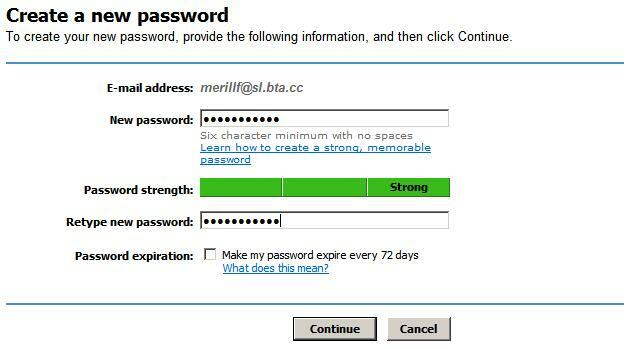 While typing my password it started with Weak then went on to Medium and finally to Strong. This is a really good way of making your users pick and use more secure passwords.